NATIONAL #TMI DAY THIS FRIDAY! 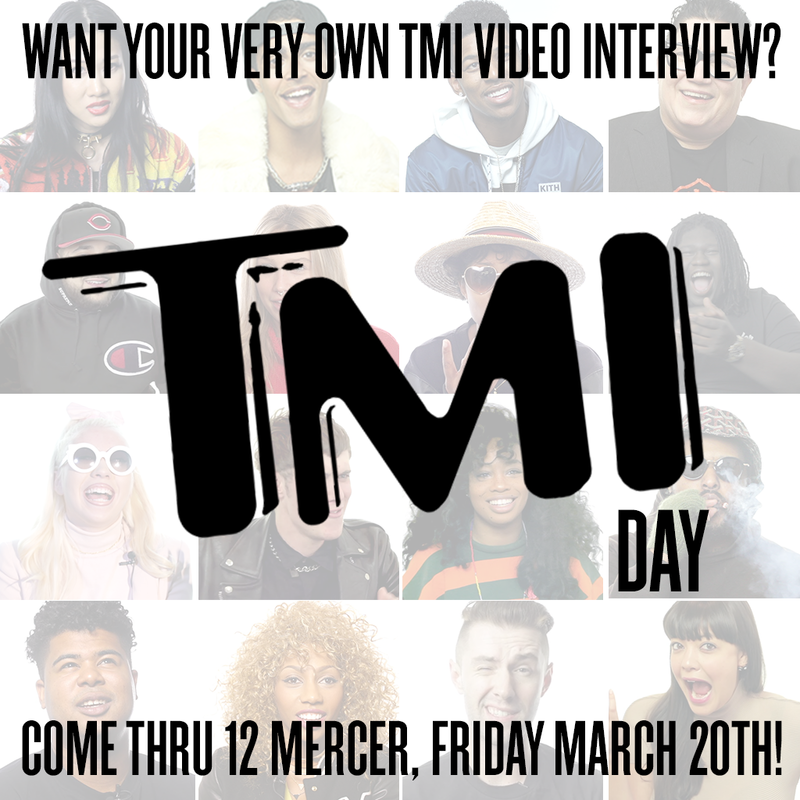 This Friday, It’s national #TMI day at VFILES, your opportunity to have your very own TMI interview on VFILES. Noon-5pm, 12 Mercer St. NYC. Get a taste for #TMIs below, and or watch them all here!